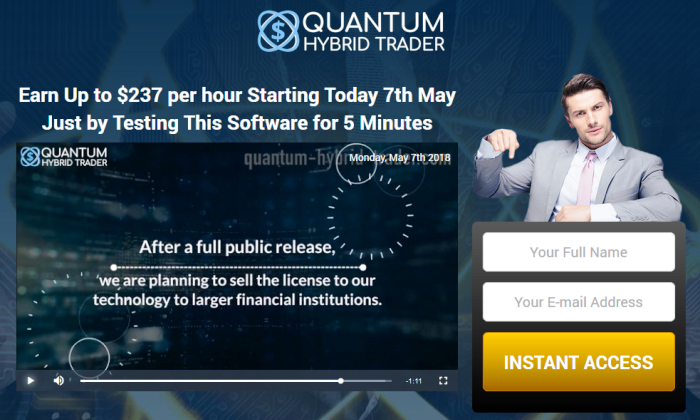 Quantum Hybrid Trader is a new Forex trading signals software, that is actually a fake advertisement for offshore and unregulated CFD & Crypto brokers. If you deposit money at one of their “recommended” offshore brokers, you will never see it again! This trading software that Quantum Hybrid Trader uses, is actually a “random signals generator” that we’ve seen used hundreds of times at other get rich quick websites. We thoroughly reviewed the software and here is what we saw from the product. 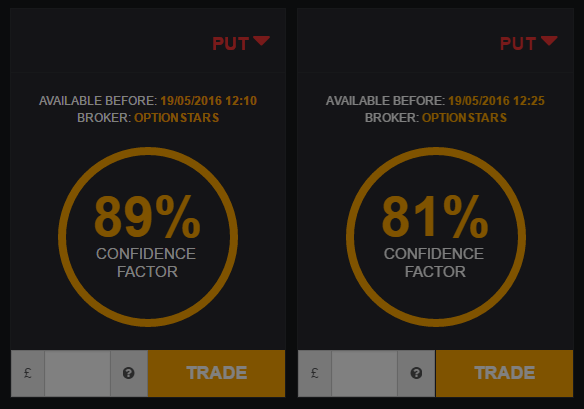 The Quantum Hybrid Trader shows you the asset to trade, time that the signal is valid, their confidence level, and the ability to place a trade. We could not ascertain from the signals, how long the trade should be for. Is it going to make money in 5 minutes or 5 days? Although you cannot see the trading signals, unless you deposit money at their “recommended broker”, here are what the actual signals look like (see image below). You are better off using a real trading robot, see here. The first question that you as an investor needs to ask yourself, before using a trading system is; What are the alerts based on? If someone tells you to buy the Euro/Yen Currency pair (EUR/JPY), do you think that is a good trading idea? We need to first know; When should I place the order and How much should I pay for it? Look at the chart below with 4 different buy signals. Which one actually works? So the moral of the story is, that there are many trading systems for Crypto and Forex CFDs, but you really need to do your own research. 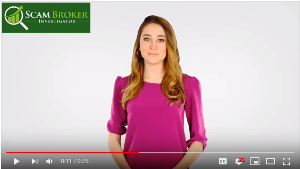 Although the the video on Quantum Hybrid Trader mentions that you will make thousands of dollars, the truth is, there is no guarantee. 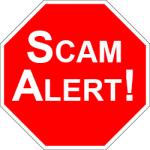 A big problem with investing online is that many rogue brokers setup websites like Quantum Hybrid Trader, to lure investors into dreams of making millions. All Forex brokers must be licensed and regulated in order to accept client funds, and provide investing services. If you invest your money with their recommended offshore broker VipWayZone, there is a good chance they will never return it to you. You can see the various complaints about brokers, read this. A few licensed Forex brokers offer a Robo Advisor or Automated Trading Solutions, see here.